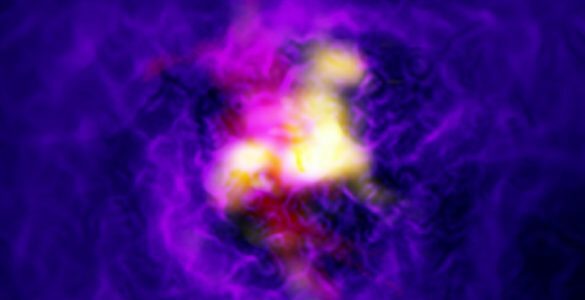 An international team of researchers using the Atacama Large Millimeter/submillimeter Array (ALMA) and other telescopes has discovered the power source illuminating a so-called Lyman-alpha Blob – a rare, brightly glowing, and enormous concentration of gas in the distant universe. 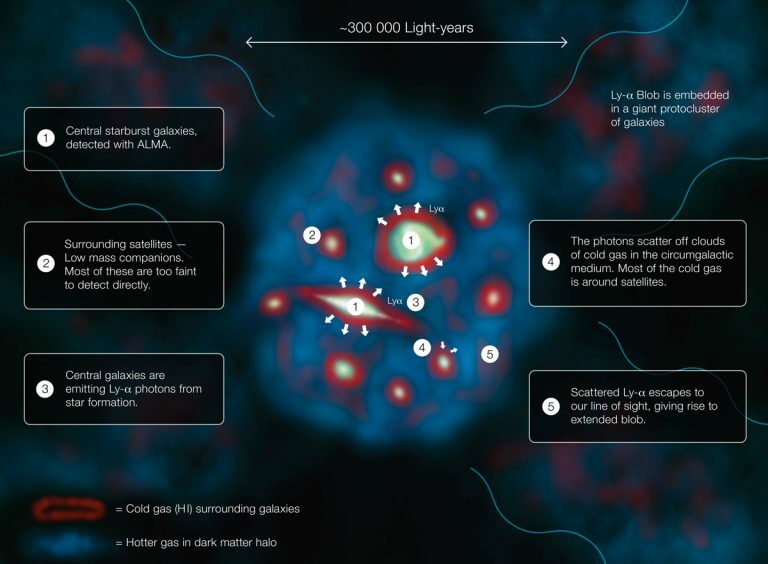 This research was presented in a paper titled “ALMA observations of Lyman-a Blob 1: Halo sub-structure illuminated from within” by J. Geach et al., to appear in Astrophysical Journal [http://apj.aas.org; Preprint: https://arxiv.org/pdf/1608.02941v1.pdf]. 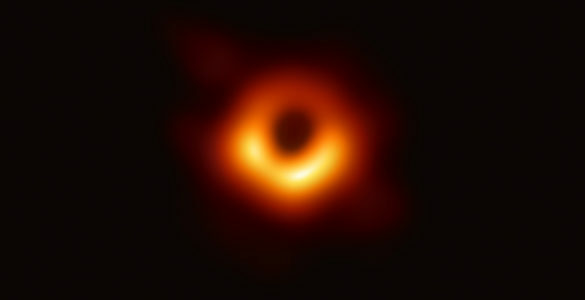 sics, University of Oxford, Oxford, UK) and T. Yamada (Astronomical Institute, Tohoku University, Miyagi, Japan). 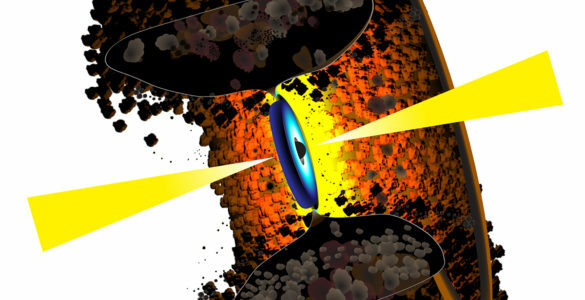 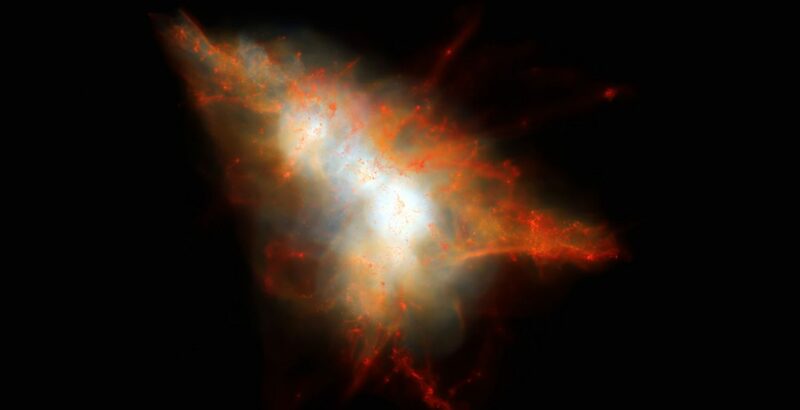 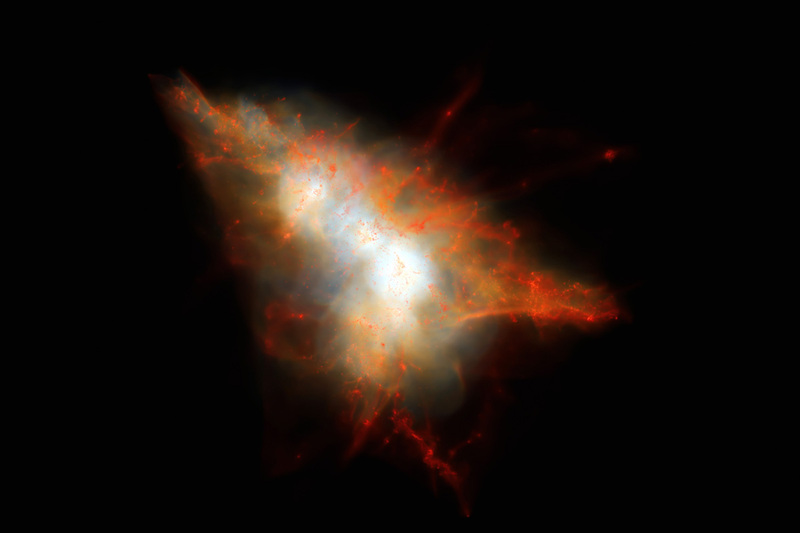 This rendering shows a snapshot from a cosmological simulation of a Lyman-alpha Blob similar to LAB-1. 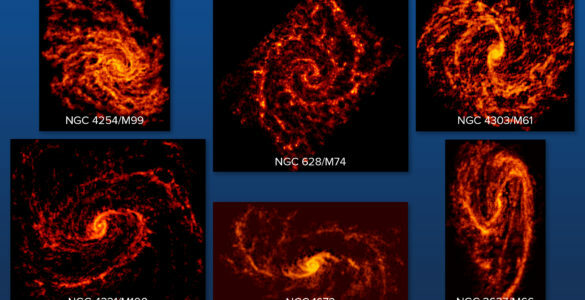 This simulation tracks the evolution of gas and dark matter using one of the latest models for galaxy formation running on the NASA Pleiades supercomputer. This view shows the distribution of gas within the dark matter halo, color coded so that cold gas (mainly neutral hydrogen) appears red and hot gas appears white. 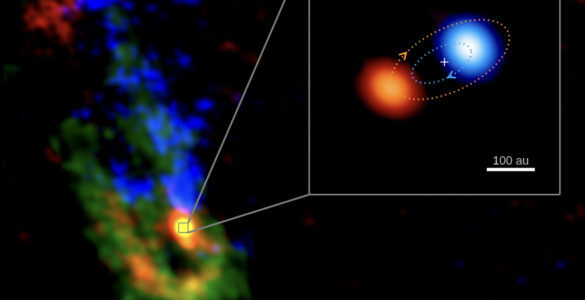 Embedded at the center of this system are two strongly star-forming galaxies, but these are surrounded by hot gas and many smaller satellite galaxies that appear as small red clumps of gas here. 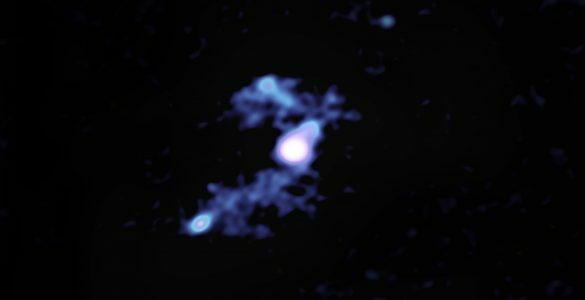 Lyman-alpha photons escape from the central galaxies and scatter off the cold gas associated with these satellites to give rise to an extended Lyman-alpha Blob.